DISCOUNTS AVAILABLE for local pickup or commercial delivery. See shipping terms or contact us for details. 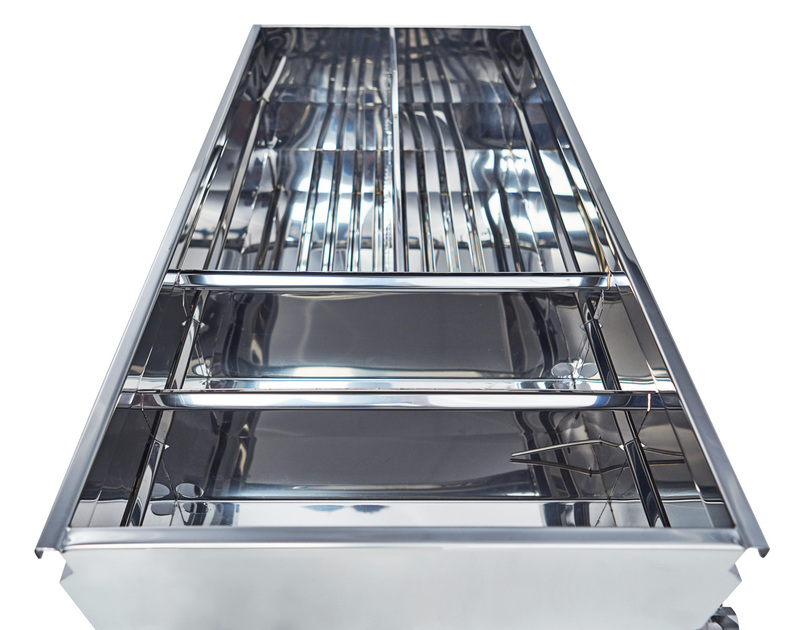 Pro Package: This is a divider in the flue pan which GREATLY improves performance. 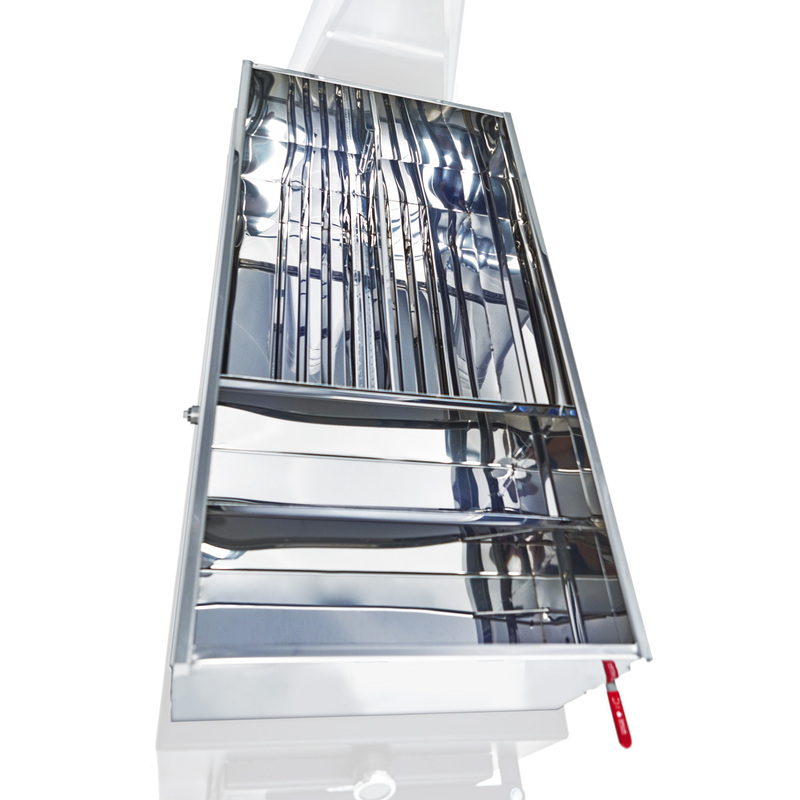 Pro Package also includes an additional port for an auto draw-off hook-up. Prevent scorching/warping by maintaining 1 – 2″ of sap in the pan. 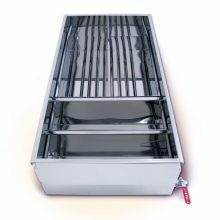 This can be done by hand OR increase efficiency/convenience with a Feed Pan or Float Box. Hoods are essential for anyone boiling sap in a building without a cupola. 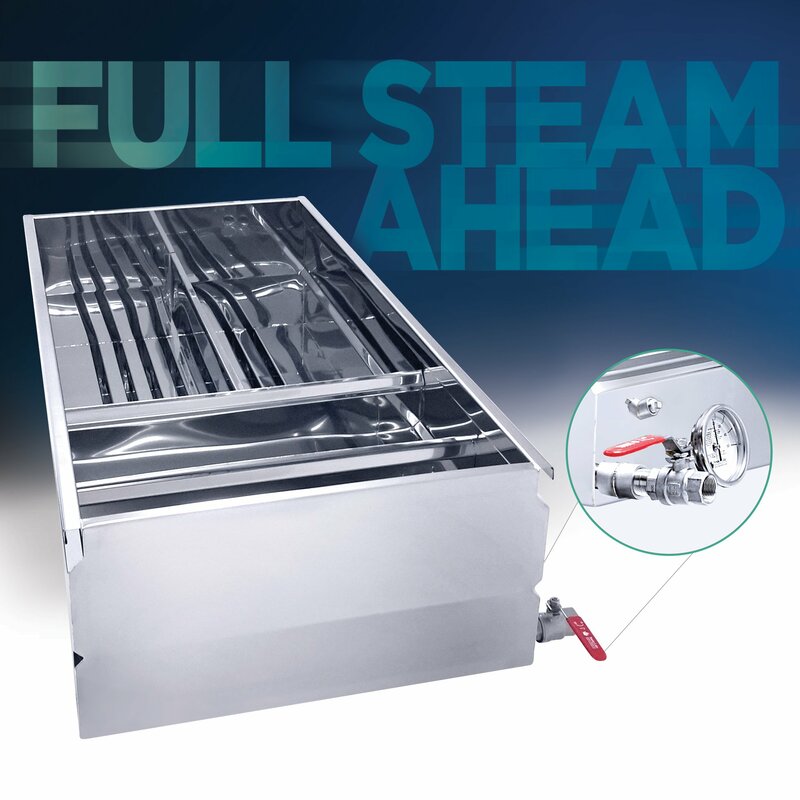 Your evaporator will generate incredible amounts of steam. Hoods will evacuate the steam from the building and prevent it from condensing on your ceiling. The Smoky Lake Hybrid Hobby pans are a flue pan and a front syrup pan all built into one. The Smoky Lake Hybrid Hobby pan will evaporate 250% faster than a standard flat pan. 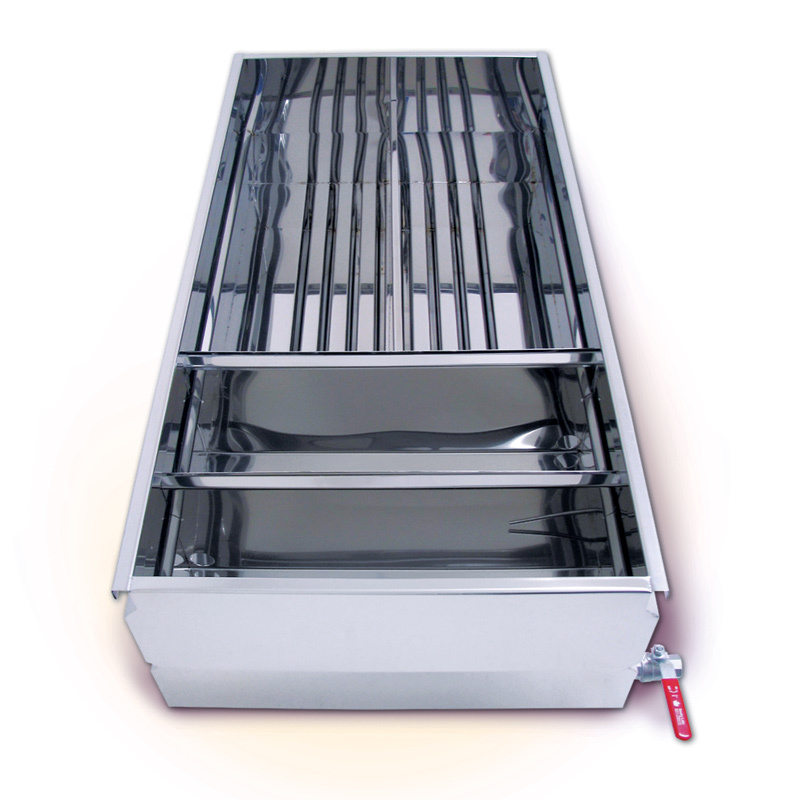 The pan has eight drop flues in the back and two finishing compartments in the front. 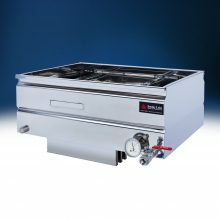 Being that it is one pan you don’t need to worry about gaskets and there are no external transition fittings which cool your sap down. Switching to a hybrid pan is as simple as just replacing your flat pan. 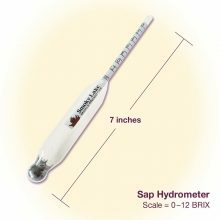 The stainless steel draw-off valve and 0–50 maple thermometer are included. 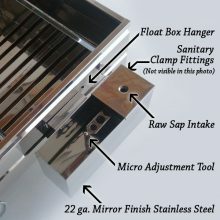 Every pan comes with brackets and ports for a float box so you can add one now or later on. 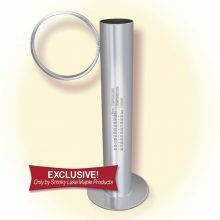 All Smoky Lake Maple pans are made with premium 22 gauge, mirror finish stainless steel. 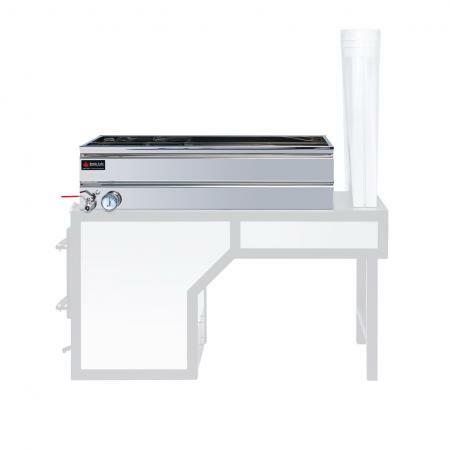 The side profile of the pans are designed for extreme durability and includes full length handles to make them easy to move. 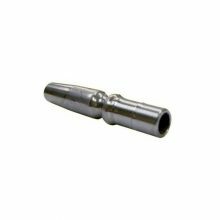 All of our valves and fittings are pure stainless steel, NOT just nickel plated. All of our equipment is fully TIG welded to the highest food grade standards. 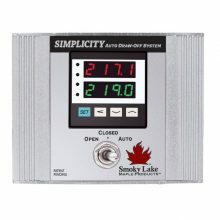 We are very proud to offer the very best equipment in the maple industry. Made in the USA. 1All of our hybrid pans contain eight drop flues. The size listed is the size of one individual flue. 2The ranges listed above are approximate. 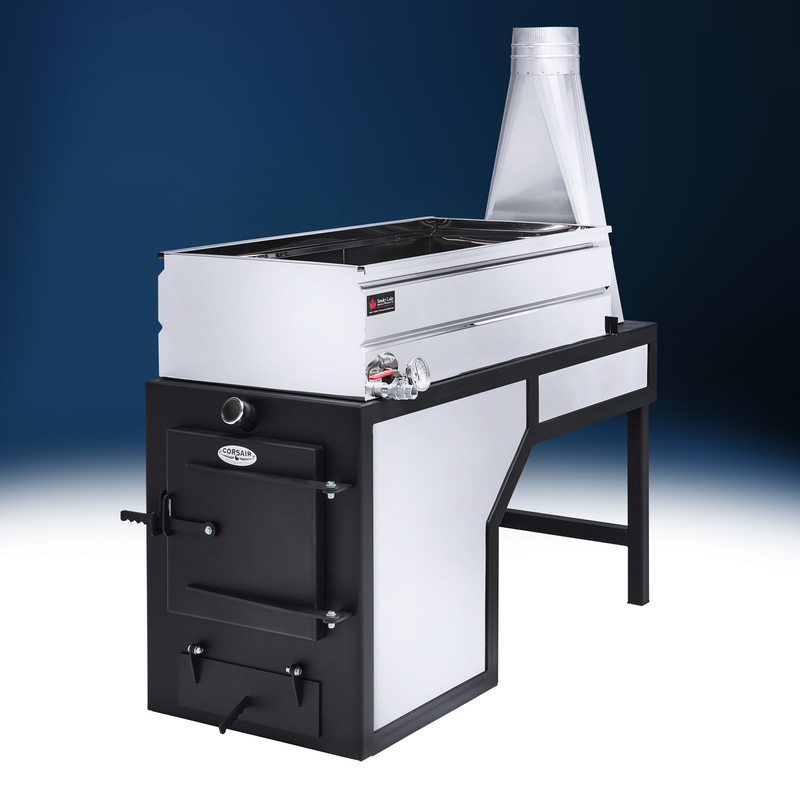 There are many variables that will affect your actual evaporation rate such as the type of wood being burned, the type of arch/firebox used with this pan, altitude, frequency of adding fuel to the firebox, etc. Be the first to review “Customize a Hybrid Hobby Pro Pan” Click here to cancel reply.